Away from the action, Booster Gold and Harley Quinn seek peace (and pie) in this first look at HEROES IN CRISIS #1. Booster Gold and Harley Quinn both know how to cause plenty of chaos, so it’s surprising and more than a little sweet to see them away from the action and enjoying a meal at a sleepy diner in this exclusive sneak peek at HEROES IN CRISIS #1, the debut chapter in Tom King and Clay Mann’s much anticipated new comic book event. 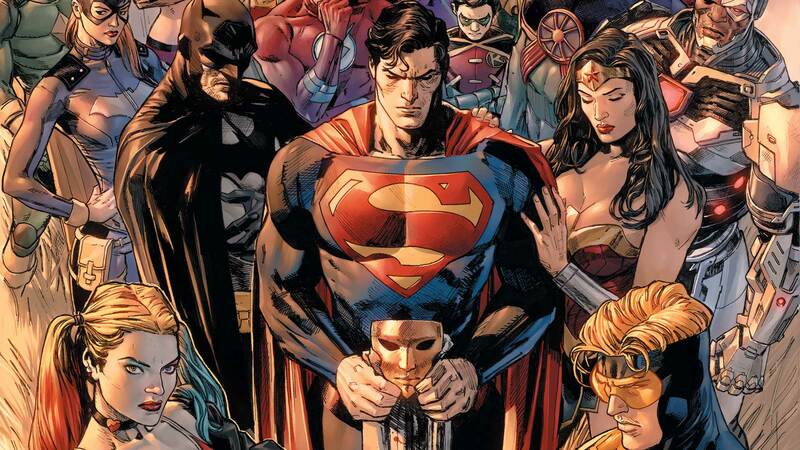 Set at Sanctuary, a top-secret compound in rural Nebraska where heroes can go when the stress of their ongoing battle against evil gets to be too much, Heroes in Crisis is a tragic, gripping mystery that will unspool over nine powerful issues which promise to change the DC Universe forever. Sanctuary is a place of healing and recovery…at least until a horrifying event leaves many of the heroes there dead. Even worse, Booster and Harley look like they may be to blame. That can’t be right, can it? HEROES IN CRISIS #1 by Tom King, Clay Mann and Tomeu Morey is in stores this Wednesday.